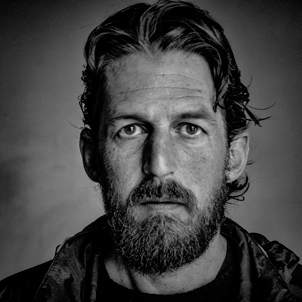 Earlier this year, 45 year-old Matt Black embarked from Santa Maria, Calif., his birthplace, and drove 18,000 miles across the country and back again, stopping every 200 miles to photograph cities, towns, and rural areas, where like Santa Maria, more than 20 percent of the population lives below the poverty line. That is the point at which the U.S. Census considers a community to be a concentrated poverty area. 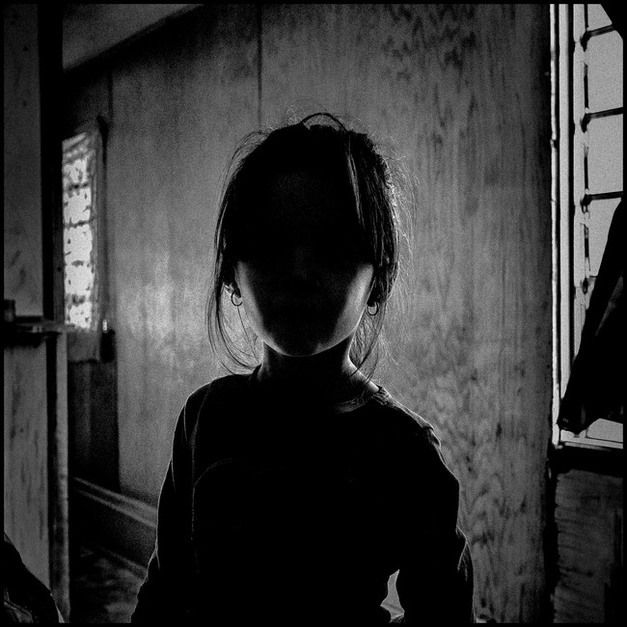 Matt Black—whose black-and white photo essays have been featured in National Geographic, The New Yorker, and The New York Times—says this series, The Geography of Poverty, was largely inspired by social media—specifically the mapping feature on Instagram that allows users to geo-tag photos that are then superimposed over a map of the world. 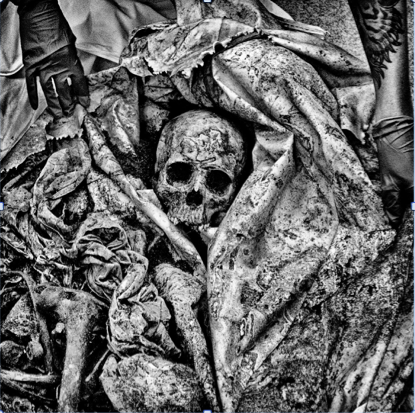 Last year, Black was selected as Time magazine’s Instagram photographer of the year for the project. “The route itself I think [was] a pretty incredible thing—that you can cross from coast to coast and back again and never leave these poverty areas,” says Black, who now lives in Exeter, a small concentrated poverty town in California’s Central Valley where many eke out their livelihoods harvesting nuts, cotton and wine grapes. The Geography of Poverty didn’t start out as a project to document the poverty of the entire country, but rather that of the Central Valley—the country’s highest yielding agricultural region. Black started his career as a staff photographer for a small newspaper in the Central Valley with the intention of leaving, but it wasn’t long before he grew attached to agrarian landscape and its inhabitants—largely poor migrant workers. 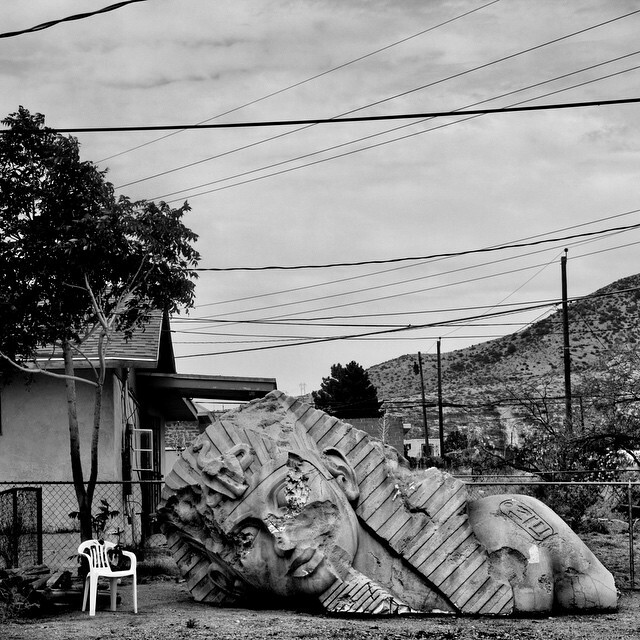 More than 20 years later, Black has devoted much of his career to documenting the region—“a big unknown,” is what he calls it, “in the richest, most powerful state.” Situated inland from the highly visible and affluent Silicon Valley and Hollywood, the 450-mile-long Central Valley contains three of the five poorest metro areas in the United States. “In a lot of ways what my work has been is to put these places on the map, literally,” Black says. In recent years, he also embarked on a few projects in rural Guerrero, Mexico’s poorest state (home to many of California’s migrant workers) with similar intentions. Many of Black’s photographs address the poor indirectly, evoking a sense of destitution and hopelessness with tokens of poverty—abandoned buildings, animal carcasses, drooping power lines, vast and empty vistas, long shadows, and tattoos on weathered skin. Black’s portraits rarely show people head-on, and when they do, faces and eyes are often obscured in shadows, and gazes are diverted. His work often recalls that of depression-era photographers like Dorothea Lange and Walker Evans—though Black says he doesn’t spend much time looking at the work of other photographers or even thinking about photography anymore. Early next year, Black will embark on another sojourn for the third installment of The Geography of Poverty, which will focus on the poverty of the Midwest, a region overlooked in last year’s tour. In some places, he will spend a single day, others longer. Asked if his subjects ever resist his efforts to document their lives, he says almost never. 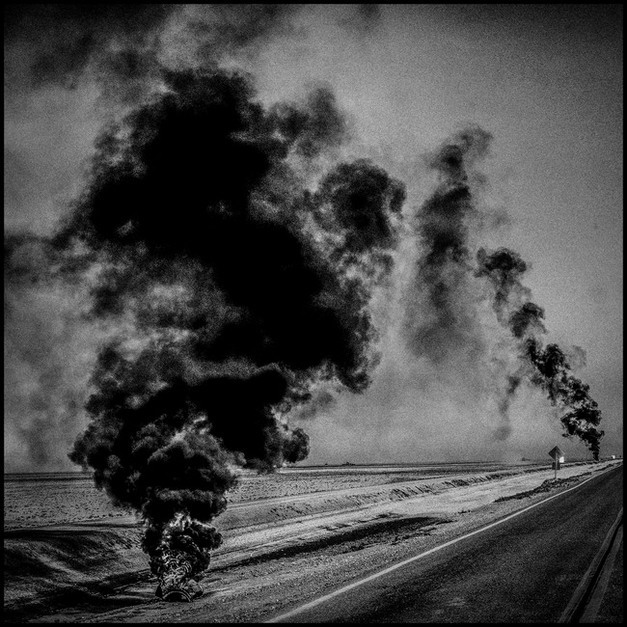 Follow Matt Black on Instagram @mattblack_blackmatt.